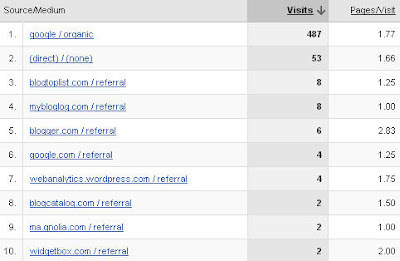 How to derive a huge referral traffic? The latest buzz in the internet world is on social media sites. Many times when you post on these types of sites you can gain top positions in the search engines in, sometimes minutes! The search engines view content on these sites as current cutting edge information that is highly relevant to the viewing public. How long this will last is anyone guess, but for now it definitely pays to get your information out there to generate as much traffic as possible. When last month I experience some social bookmarking site and getting traffic from these sites, I analyzed that social networking sites can generate more traffic and referral visitor for my blog site. Let some discuss about social sites and networks. In a social bookmarking system, internet users save links to web pages that they want to remember and/or share. These social bookmarks are generally public, and can be saved privately, shared only with specified people or groups, shared only inside certain networks, or another combination of public and private domains. Only the allowed people can view these social bookmarks sequentially, by category or tags, or via a search engine. Social networking sites like Facebook, Myspace and Sumpleupon, just to name a few, aren't just for the internet socialite any more. They've captured the interest of many an internet marketer as well, and why not? It's the perfect way to network, meet colleagues and form valuable joint ventures. In a nutshell, these social watering holes can help get the word out about you and your business at nearly warp speed because of the huge volume of visitors they receive. 1. First select the list of social bookmarking sites? 2. Register to these sites. 3. Put your favourite links into these sites. You can do it yourself, but I know there is do not have enough time or not good knowledge about how to submit and manage? I don’t have also. Because there are a lot of bookmark managers, it takes time to submit. One of the best social bookmarking submission service provider (http://www.socialbookmarksubmission.com), I found to submit my favourite links manually in all best 500 bookmarking sites at a very affordable price just only $47. After completion of work it sent to me detailed report and screenshots of work. I got what it says. If you want you can also get this good service. If have more than 5 sites and ordering in bulk, you may get good discount offer. To contact just you need to fill the form with Name, address, and sites details with anchor text which you need to submit. To know more about it before any order, you get read terms of services that are very necessary to take any step to move forward. 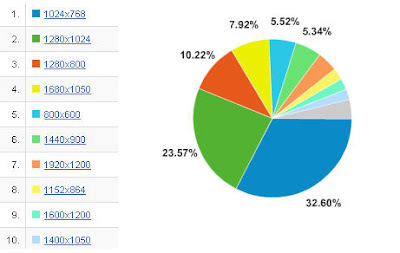 Google Analytics adding new features in its tool continuously, as we know, last time it added New graphic features and language supports in google analytics and a beta version of industry benchmarking and a data-sharing settings page. Now there is good news for Google Analytics users. Now, users can get reports by day wise, weekly or monthly even hourly in graph format. A new beta version of report by graph is launched by Google Analytics. Let's have look at a snap of beta version of new feature. By this useful and user oriented features, analysts can analyze traffic data easily and customized report more. There is need not to make any excel sheet to create any compared report, by the enabled feature users can easily make comparison. 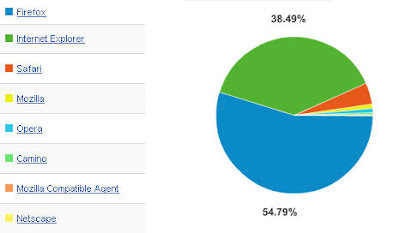 After analysing my web stats of last year (2007), I found two important website factors that impact your website usability and visibility. One is Website Screen Resolution and second, Browsers used by users to view your website. If we analyse those graphs we can conclude that if we our website have according to those factors, its ok to attract the visitors, if not, we need to implement these factors immediate. Those graphs learn to us that our website screen resolution should be of 1024x768px and our website must be Firefox browser compatible. There are many Web-analysis tools in the market. Some of the tools are absolutely free, and some of the tools are with trial version for a limited period of time. Like Google Analytics, StatCounter are free tools that help you to improve your website traffic performance are best for small businesses even large enterprises.